Do you see clients whose lives are severely limited by chronic pain? Would you like to help your clients resolve their symptoms rather than just ‘manage’ them? 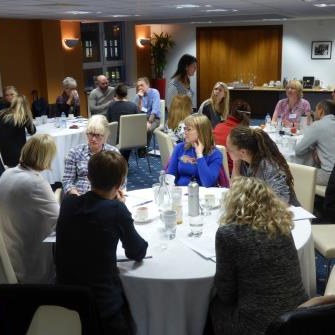 Would you like to become part of a growing network of respected professionals helping to change people’s lives forever using a pioneering approach to resolving chronic pain? Throughout the western world people suffer from severe pain which persists, despite current conventional and alternative treatments. This often destroys lives and livelihoods. The cost of chronic pain to the UK economy alone is billions of pounds a year. The acute pain of an injury is an unpleasant, but important, biological signal indicating tissue damage. We now understand though that where there is no underlying physical disease, such as cancer or an auto-immune disorder, chronic pain is actually created by the central nervous system, rather than the bodily location where the pain is felt to be. The triggers for the brain to create or cause pain to persist are many and varied. However, the adapted ‘stress’ response underlying this is unconscious and automatic, acting as a protective, or maladapted ‘fight or flight’ response. SIRPA’s approach is based on this cutting edge concept and uses a self-empowering educational approach, as well as numerous self-empowering strategies to address the central nervous system directly, via its ‘software’ – the mind. As the pain process itself is reversible full recovery is possible, no matter how severe or longstanding, therefore allowing individuals to take responsibility for their health, often with life-changing results. SIRPA’s mission is to engage health professionals, educate them about the SIRPA approach to chronic pain recovery and equip them with practical competencies necessary to shift their clients from living with pain to living without it. Chronic pain is now the world’s leading cause of disability, affecting 20-30% of the global population. By cultivating a community of ambassador-clinicians for the emerging curative paradigm, SIRPA aims to dramatically reduce human suffering in the world. What will your investment include? This practitioner training is delivered via an interactive online programme. This allows you to progress at your own pace and work within your current commitments. The training is delivered in two parts. The first part is the introductory course aimed at helping you become acquainted with the concepts and begin your SIRPA journey. The full practitioner course will then help you learn all you require to integrate this approach into your own work. Both levels of the practitioner training are packed full of videos, activities and additional resources. These will support you every step of the way, along with peer support and the option for clinical supervision. A regular newsletter keeping you up to date with any relevant developments within this field. N.B. If you are not sure whether you fit these criteria and would like to discuss how you might be able to meet SIRPA’s requirements, please do get in touch. When you sign up to the full practitioner course you gain immediate access to 2 months SIRPA membership for FREE. This provides you with access to additional resources available to SIRPA Practitioners and you can read about the benefits you will receive here. 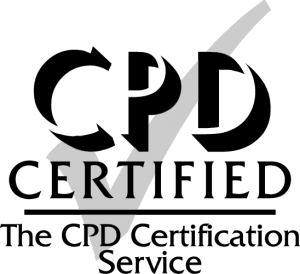 SIRPA membership will support your ongoing professional development and is a sign of competence and professionalism for your clients. Signing up to any of our training will also mean you receive our newsletter, keeping you up to date with developments within this field. How will you benefit from completing our Level 1 & 2 SIRPA courses? What will the SIRPA Practitioner training provide you with? Choose from our course options below. By purchasing SIRPA’s Level 2 Practitioner course you are confirming that you are qualified as one of the following; a medical professional, mental health professional, complementary therapist or a health coach. You are also confirming that you are currently regulated by a respected professional body and have up to date professional indemnity insurance. SIRPA will not be held liable for anyone who undertakes this course who does not fit these criteria. All delegates must also be working within their own scope of practise as accepted by their own professional body. Any queries, please contact us. 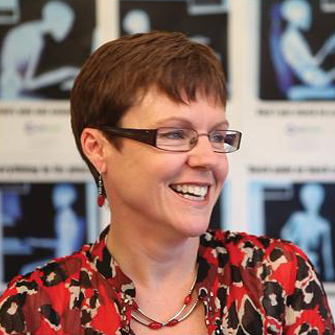 SIRPA was founded in 2010 by Physiotherapist, Georgie Oldfield MCSP. After coming across the work of Dr John E Sarno in 2007, which forms the foundations of the SIRPA approach, Georgie spent the next few years developing a specialism in this field. Having visited Dr Sarno and other Specialists in the US on a number of occasions, she has built strong ties with the US leaders, who are themselves developing their own PPD (Psychophysiologic Disorder) Association. SIRPA came about due to Georgie’s determination to raise the profile of this approach. She felt this would happen more easily by training other Practitioners, who would then be able to reach out to even more people. Georgie’s aim was also to provide the SIRPA training to help other Professionals more easily learn to integrate this approach within their own work. As well as developing SIRPA, Georgie works clinically, gives talks and writes widely about the concept. In 2014 she published her first book, ‘Chronic Pain: your key to recovery’. Georgie also organised and hosted the first two conferences in this field outside the United States. Both of these were held at the Royal Society of Medicine in London in April 2015 and October 2017. SIRPA is committed to your complete satisfaction with our services. 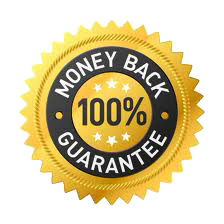 If, for any reason, you are not entirely satisfied with our practitioner training, we offer a 100% money back guarantee. This is available from 30 days after the purchase of the course. In the unlikely occasion that this does ever occur we will aim to gain an understanding of your reasons to request your money back, in order to continue to improve our services.